When it comes to towing, hauling, and getting the job done, we think Jacksonville drivers are to love the RAM 2500. Edmunds agrees, calling this big truck “a heavy-duty workhorse that can deliver the additional muscle — and refinement.” Explore the power options available to make every job – whether it’s work in Chatham or play in Taylorville – hassle-free, then drop by Green Dodge in Springfield to experience the power of the RAM 2500 engine yourself. The base 5.7L HEMI V8 gasoline engine delivers 383 hp and 400 lb-ft of peak torque with 3,060 max payload and 13,890 pound of max towing capability. The 6.4L HEMI V8 gasoline engine generates 410 hp and 429 lb-ft of torque with 3,990 pounds of payload and 16,320 pound of max towing potential. The 6.2L Cummins Turbodiesel I6 motor delivers 370-hp and 800 lb-ft of torque with 3,160 pounds of payload and 17,980 pounds of towing power. Depending on configuration, trim, and power needs, drivers can choose between a 6-speed manual transmission or smooth-shifting 6-speed electronically-controlled automatic transmission. Whether your work keeps you in Jacksonville, or you’re traveling to Chatham and Taylorville for a little weekend adventure, the RAM 2500 has the power and capability you need. 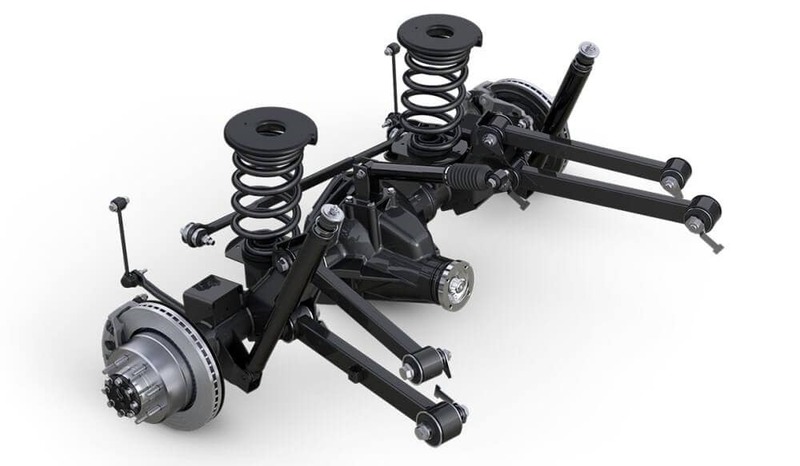 The five-link coil rear suspension reduces friction within the truck’s system for improved turning and a smoother ride, even when the vehicle is under a heavy load. A three-link front suspension with larger stabilizer bars and stronger shocks help to cushion the ride. This provides a smooth driving experience even on rough roads, while options like the available class-exclusive rear auto-level air suspension helps to keep loads level for easier hauling, reduced wear, and a better, more comfortable driving experience. The available tow/haul select system provides drivers with a variety of customizable options to allow them to tailor the truck’s performance to the current road conditions for predictable performance that can handle just about anything nature might throw at it. Now is the perfect time to schedule a visit to Green Dodge to test drive the RAM 2500 and experience its performance for yourself. Be sure to ask about financing options, Ram truck accessories, and contact us online if you have any questions.